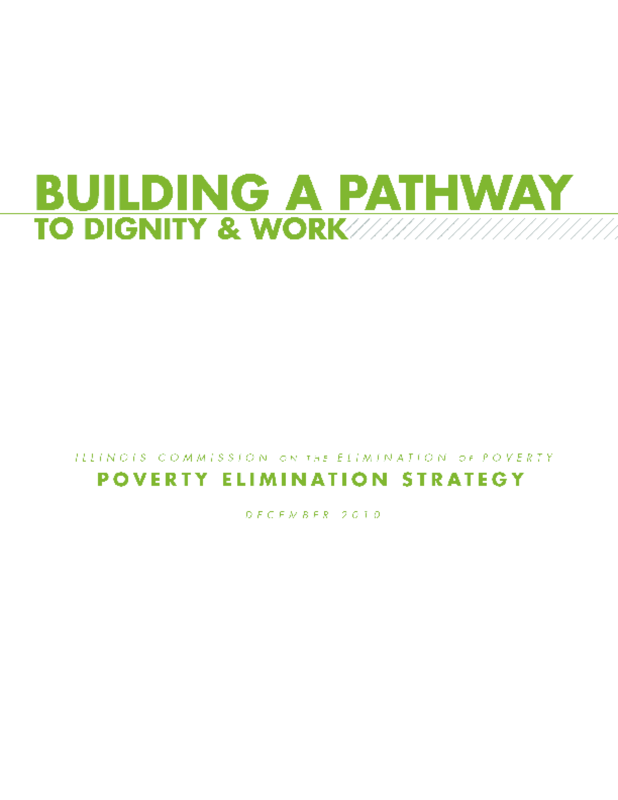 After a year of conversations, hearings, and research, the Commission on the Elimination of Poverty released its comprehensive plan for cutting extreme poverty in half in Illinois by 2015. The Commission's Plan provides a timeline for program and funding priorities to cut extreme poverty. This report includes substantive, measurable policy recommendations that will increase stability and opportunity for Illinois's most vulnerable citizens. Copyright 2010 Illinois Commission on the Elimination of Poverty.